Optimization problems are commonly encountered in the area of complex networks. Due to the high complexity of the involved networks, these problems are usually tackled with deterministic approaches. On the other hand, metaheuristic algorithms have received a lot of attentions and have been successful applied for many difficult problems. In this chapter, it is to showcase how to use the metaheuristic algorithms to provide better solutions to the optimization problems in related to complex networks. 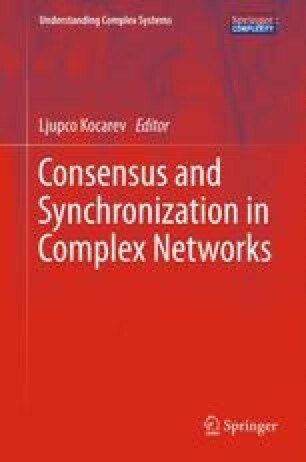 Our focus is on the synchronization of complex networks, which not only possesses its own distinct theoretical complexity but also is useful for many practical applications. Two major synchronization problems are presented. The first one is to obtain the best network that exhibits an optimal synchronizability, while the numbers of nodes and edges are fixed. A hybrid approach, combining Tabu search and a greedy local search using edge rewiring, is suggested. The second one is on pinning control. Given a network, it is to select a fraction of nodes and assign the appropriate control gains so that all the nodes in the network follow some predefined dynamics. The problem is solved by a novel genetic algorithm with hierarchical chromosome structure. In both cases, the effectiveness of the designed metaheuristic algorithms is justified with simulation results, and it is concluded that they outperform the existing methods.